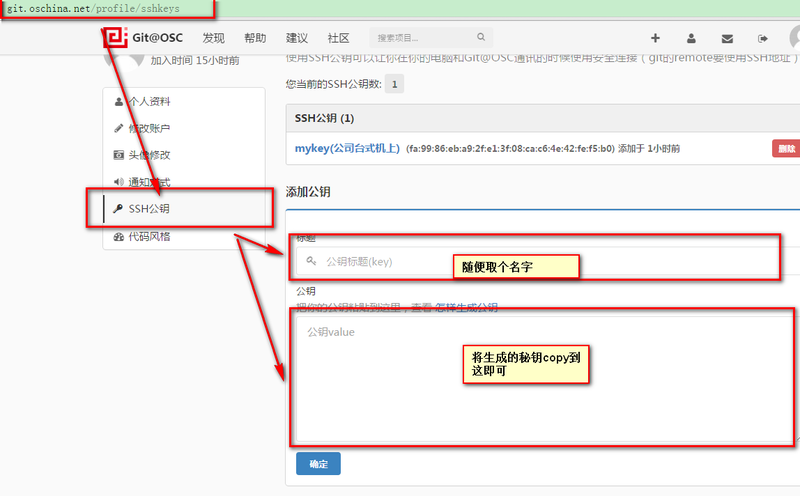 git config --global user.name "zqz"
git config --global user.email "zqz@zhaoqize.com"
ssh-keygen -t rsa -C "zqz@zhaoqize.com"
The authenticity of host 'git.oschina.net (103.21.119.119)' can't be established. Warning: Permanently added 'git.oschina.net,103.21.119.119' (ECDSA) to the list of known hosts. Writing objects: 100% (11/11), 1.40 KiB | 0 bytes/s, done. Receiving objects: 100% (71/71), 44.84 KiB | 8.00 KiB/s, done.